Data has been continuously flowing more than ever in our contemporary era. By applying necessary analytical measures on the colossal amount of Big Data, small and large businesses can identify new opportunities and improve the customer experience alike. As the population and the technology grows, so will the quantity of data increase. 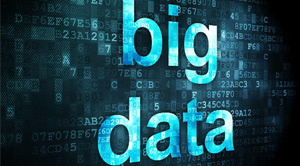 However, it is important to identify the right data from the Big Data to effectively utilize it. The outcome of incorrect data analysis may seem trivial in some of the industries, but in most of the industries, it can lead to severe consequences. •It is important for the organizations to have a target of what sort of data should be gathered before acquiring and analyzing it. The organizations should know accurately what they are looking for. • The organizations should figure out the decisions to be taken to reduce waste. After figuring out this decision, the next step should be to identify methods to change the decisions. • After identifying the waste and what could be done to eliminate or reduce it, the next step should be to seek the right data and gather it.